The Pruvit Keto Reboot is a 60 hour Keto cleanse designed to reprogram your body to burn fat starting with a System Reboot. Be part of this exclusive 60 Hour Keto Reboot program repeating the 2nd Sunday of each month! The Keto Reboot Kit and Program retails for only $79.00. You’ll get coaching, support, accountability, and the highest quality ketone supplements on the market! What is the Pruvit 60 HR Keto Reboot? Reprogramming your body into a fat-burning mode starts with a System Reboot using high-quality ketone-based products. Hitting a reset on your body’s efficiency can set you up for thriving on fewer calories. This 60 hour Keto Cleanse promotes metabolic hormone optimization, fat burning, and ketone utilization (instead of that nasty glucose). You and participants will be creating a calorie deficit and Rebooting your body back to its natural state by taking control of unwanted cravings, preserving lean muscle mass, and maximizing your energy. 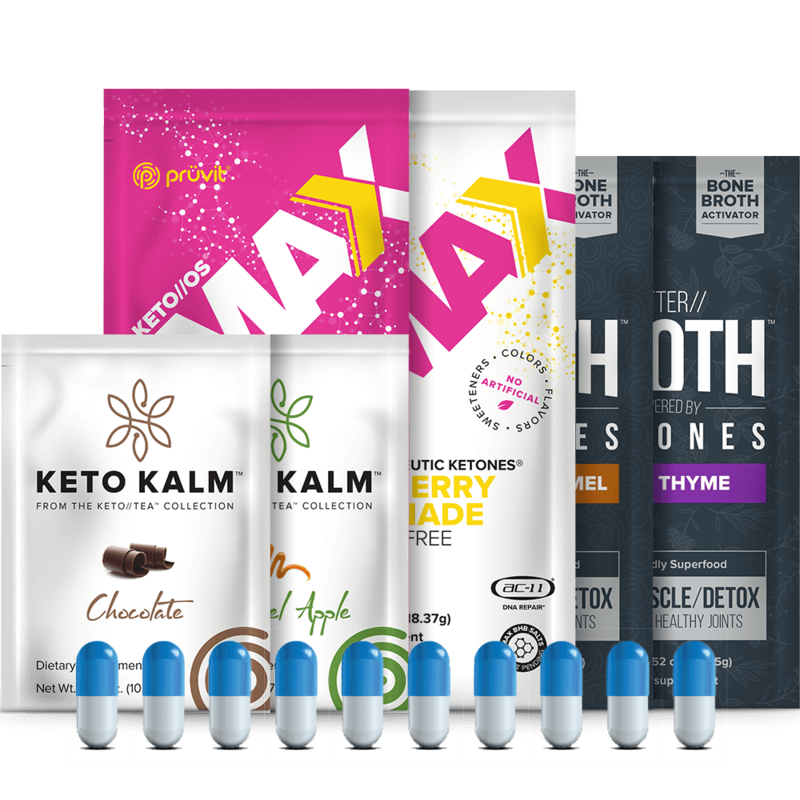 This quest was created to inspire and educate individuals to experience the innovative Ketone technology while implementing small life hacks to create drastic health improvements. Why Take the Pruvit 60 HR Keto Reboot? Reprogramming your body into a fat-burning, muscle preserving machine starts with the Keto Reboot. This Keto Powered 60-hour cleanse is not like a fast. It is BETTER. This 60 hour Keto Cleanse will Reboot your system into its native state creating lasting ketogenic benefits. Hitting a reset on your body’s metabolic efficiency sets you up to thrive on ketones instead of struggling on glucose. Stop feeling bloated and tired. Become metabolically efficient through this Keto Reboot and Optimization quest, and power towards general fat loss. It is time to transform into a better you! Add Me To The VIP List! The Keto Reboot is intended to Upgrade your system for a better YOU! This means anyone can benefit from the Reboot and Optimization. REBOOT YOUR BODY BACK TO ITS N8TIVE STATE IN 60 HOURS! KETO//KALM provides a calm and smooth transition into deep, quality sleep. Relieve your mind and body of daily stress, stop late night cravings, and maximize your sleep performance so you can conquer every day with purpose. KETO//KALM contains ketones, HICA, Rooibos tea, 5-HTP, ac-11® DNA repair, and B6 B12 vitamins. Utilizing the highest quality of natural beef and chicken bone broth, our formula was designed to help increase your body’s DNA signaling, allowing muscle growth and improved mobility. Plus, it’s activated with ketones for heightened cellular function. It’s more than bone broth. BETTER//BROTH is formulated for a BETTER you. Two delicious flavors of BETTER//BROTH make it easy to reach your ultimate potential. Salted Caramel is great by itself in cold water or as an addition to a sweet (tasting) treat. The savory Keto Thyme is a warm taste of home in your mug. It also makes a fantastic seasoning sidekick to any recipe! BETTER//BROTH is fully-loaded with ketones, amino acids, protein, N8 Bioavailability Blend, ac-11®, and vitamins B6 and B12. The KETO//OS MAX blend contains Pruvit’s patent-pending Max BHB salt. This is the only BHB salt that directly mimics the same ketones that your body naturally produces making it the most bio-identical formula to date. 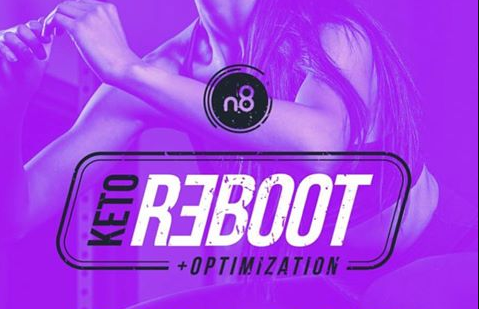 Utilizing our N8 Bioavailability Blend featuring ac-11®, KETO//OS MAX supports healthy cell function, rapidly repairs DNA, boosts immune function, and elevates essential amino acids necessary for optimizing body composition. KETO//OS MAX contains Max BHB™ ketones, amino acids, N8 Bioavailability Blend, ac-11® and vitamins B6 and B12. With its patented bioactive ingredients, SIGNAL//OS increases cellular renewal for natural DNA repair. SIGNAL//OS boosts your body’s ability to improve DNA and cellular signaling while strengthening your immune system and ability to focus. This innovative bio-technology goes to work by enhancing the way your body communicates and functions at the cellular level for an upgraded experience you can feel. SIGNAL//OS contains vitamin B12, CMed100® (Inner bark of Uncaria Tomentosa), Reishi Mushroom, and BioPerine® (Black Pepper extract). You’ll start your Reboot on Sunday night with a delicious hot cup of KETO//KALM Tea. Don’t overeat, drink plenty of water, and get to bed before 11pm! The fast ends Wednesday morning with your final dose of SIGNAL//OS capsules. It may be tempting, but don’t jump right back into a big meal. Start your day off with some eggs and a nice warm coffee or bone broth. This is your first day to gradually add in protein and fat nutrition into your day. Scientific research tells us that adding in food items like eggs and bacon for breakfast and savoring small portions throughout the day will prevent any feelings of bloating or inflammation. Continue to utilize the power or Pure Therapeutic Ketones® throughout your day. Enjoy your small portions and remember that food is fuel! Prepare yourself for your best optimization quest! Optimize your Wednesday: Make sure to get in 2 x KETO//OS Max, 1 x BETTER//BROTH, 2 x SIGNAL//OS, and 1 x KETO//KALM. Continue to add healthy foods avoiding grains and sugars while taking advantage of the new fuel sources your body has been introduced to through the N8tive Reboot. Optimize your Thursday: Make sure to get in 2 x KETO//OS Max, 1 x BETTER//BROTH, 2 x SIGNAL//OS, and 1 x KETO//KALM. Near the end of the week and your meals are now becoming more suitable for your machinery body. Start preparing meals from your ketogenic meal plan. Continue to increase your H20 play and plan to prepare for a successful healthy weekend! You are now entering the optimization phase. Optimize your Friday: Make sure to get in 2 x KETO//OS Max, 1 x BETTER//BROTH, 2 x SIGNAL//OS, and 1 x KETO//KALM. Create a daily routine to take your product at the same times. Write down 5 things you are grateful for each morning while you drink your KETO//OS Max. Only supplement with water, black coffee, or tea for the full 60 hours. No sugar, sweeteners, or artificial flavoring. Light exercise and relaxing activity are recommended for these 60 hours. Listen to your body! Stay aware by noting how you feel each day in the notes of your phone or a journal. Order Your Keto Reboot Today! Sold Out? No problem, CONTACT ME and I’ll put you on the VIP list and notify you as soon as it’s available! DISCLAIMER: The information contained herein is not intended to be a substitute for professional medical advice, diagnosis or treatment in any manner. Always consult a qualified medical professional before beginning any nutritional or exercise program. Never disregard professional medical advice or delay in seeking it because of something you have read that is published by Prüvit Ventures, Inc. Always seek the advice of your physician or other qualified health provider with any questions you may have regarding any medical condition. The information provided by Prüvit Ventures, Inc. relating to the 60 Hour Keto Reboot is for informational and educational purposes only and, any use thereof, is solely at your own risk. Under no circumstances should the 60 Hour Keto Reboot dietary and exercise programs, or Prüvit products, be applied instead of medication or medical advice without first consulting a prescribing health care professional for a recommendation. The 60 Hour Keto Reboot enhancement strategies should not be applied unless a complete examination by a qualified health-care professional has first confirmed that the health condition of the individual can tolerate the related programs and goals, and support the enhanced metabolic performance.